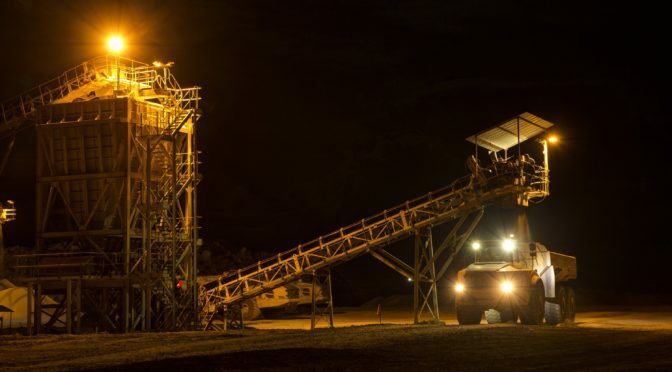 Cost effective crushing is vital to the competitiveness of mining and quarrying operations, and experienced experts can ensure the right amount of the required product, while reducing the risk of operational downtime. Dewald Janse van Rensburg, managing director of B&E International, says it is essential to consider the comminution and sizing operations as an integrated process. “We have been hands-on in crushing and screening for over 45 years, and so we can bring our detailed insights into every aspect of design, manufacture and operation,” says Janse van Rensburg. He notes the importance of focusing their designs on the precise nature and volume of output that the customer requires in a specific timeframe. To do this a good understanding of the source material is also required, such as the size of the rock entering the process, its abrasiveness and its hardness. For instance, the hardness of the material may well reduce the throughput that can be achieved through the crushing circuit and high silica levels and other abrasiveness factors will influence wear levels, so operators need to be aware that maintenance interventions may be more frequent under these conditions. Janse van Rensburg highlights that each customer’s application will be specific, so it is crucial to design and manufacture crushing plants with appropriately sized and staged equipment – as well as the right screening and other infrastructure – to suit the purpose. Factors like fines generation or stone shape may also need to be addressed when producing aggregate. When dealing with flaky material, specialised equipment like a vertical shaft impactor (VSI) can be included in the process, to break down the edges of the stones to make them more cubical. “In those rare applications where tramp metal is an issue in the source material, we also provide solutions such as metal detectors to stop the belt when necessary, or even magnets to remove metal objects before they damage the crushers,” he says.